Providing compassionate assistance for victims in North Carolina Personal injury is a serious matter that can drastically affect your health, your job, your family and your future. If you have suffered an injury because of somebody else's negligence, you need an experienced personal injury attorney by your side. While you concentrate on getting well, personal injury attorneys at Smith, James, Rowlett & Cohen, L.L.P. in Greensboro diligently pursue the compensation you need to get your life back on track. 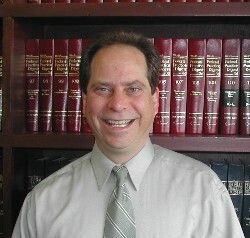 Experienced lawyers on your side Our attorneys have more than 90 years of combined experience in this area of the law. We have witnessed the heartache that results from serious injury and wrongful death. With compassion and resolve, we have achieved justice for families devastated by motor vehicle accidents, defective products, dangerous prescription drugs, unsafe work conditions and professional medical negligence. We take great satisfaction in helping injured victims obtain full compensation for their past and future medical bills, lost income, emotional distress, and pain and suffering. By teaming with the finest physicians, engineers and other experts, we are able to maximize your recovery. The inability to work combined with the accumulation of medical bills adds financial strain to the stress of injury. At Smith, James, Rowlett & Cohen, L.L.P., we handle your personal injury claim on a contingency basis. That means you don't have to pay us to represent you until we recover compensation for you through a settlement or a trial. Knowledgeable help when you need it most Consulting an attorney immediately following an injury is essential to the preservation of crucial evidence and witness testimony. In addition, North Carolina law places time limits on filing personal injury claims. To ensure timely investigation of your claim, we can schedule appointments on weekends or evenings and make hospital and home visits. Our offices are conveniently located in Greensboro. -Emory & Henry College, B.A. -Duke University, J.D. and M.A. in Public Policy Studies. -Board Certified Specialist in Workers' Compensation, North Carolina State Board of Legal Specialization. -NCDRC Certified Superior Court Mediator. -Selected by her peers for inclusion in The Best Lawyers in America in the specialty of Workers' Compensation Law. -Selected for inclusion in North Carolina Super Lawyers magazine. -Reading Connections, Inc., board member (2009 to present) and current board chair. -Quaker House of Fayetteville, Inc., board member (2008 to present). -AFSC, AFR Committee, member (2007 to present). -Carolina Adoption Services, board member (2008 to 2011). -Friends of the GSYO, board member (2007 to 2011). -Selected by his peers for inclusion in the Best Lawyers of America, First Amendment and Labor and Employment law sections. Awarded the first Norman Smith Award presented by the American Civil Liberties Union of North Carolina in 1993. Received the -ACLU-NC's Frank Porter Graham Award in 1978. 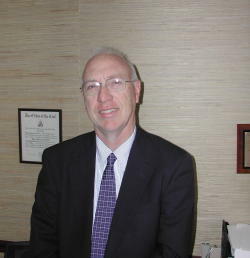 -Listed in North Carolina Super Lawyers magazine in the General Litigation section. Phi Beta Kappa. Author: "A Plea for the Total Ban of Land Mines by International Treaty," 17 Loyola of Los Angeles International and Comparative Law Journal 507, 1995; "Constitutional Rights of Students, Their Families and Teachers in the Public Schools," 10 Campbell Law Review 353, 1988; "The Death Penalty as an Unconstitutional Deprivation of Life and the Right to Privacy," 25 Boston College Law Review 743, 1984; "Age Discrimination," 29 Am. Jur. Trials, 1982; "...Shall Make No Law Abridging...: An Analysis of the Neglected, But Nearly Absolute, Right of Petition," 54 University of Cincinnati Law Review 1153, 1985. Co-Author: with Smith and Gebala, "Job Security for Public Employees," 31 Washington & Lee Law Review 545, 1974; with Smith and Singer, "Limitations on Federal Judicial Power," 14 Wake Forest Law Review 711, 1978; with Sith and Leggette, "Recent Issues in Litigation Under the Age Discrimination in Employment Act," 41 Ohio State Law Journal 349, 1980; Domestic Relations, N.C. Law Practice System, 1984; Collections, N.C. Law Practice System, 1984; with William A. Carroll, "American Constitutional Rights," University Press of America, 1991. Visiting Lecturer, University of North Carolina School of Law, 1979. Extern Professor, Vermont Law School, 1985. -University of North Carolina at Chapel Hill, J.D. Selected by his peers for inclusion in The Best Lawyers in America, Labor and Employment Law Section. Order of the Coif. 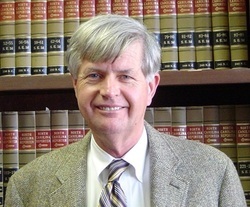 Member, Board of Editors and Business Manager, North Carolina Law Review, 1970-1971. -University of Georgia, B.A. and A.B.J. ; Phi Beta Kappa; Phi Kappa Phi. -University of North Carolina at Chapel Hill, J.D. ; Order of the Coif; Order of the Barristers. Member, Carolyn B. Davis Society. Listed in North Carolina Super Lawyers. 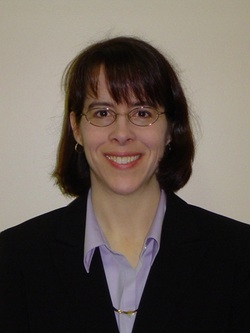 Adjunct Professor, Wake Forest University School of Law, 1999 - present. General Counsel, American Civil Liberties Union of North Carolina.